The Superdiversity Institute for Law, Policy and Business is a multidisciplinary centre specialising in analysing the law, policy and business implications of New Zealand’s superdiversity. The Diverse Thinking Capability Audit of New Zealand Boardrooms 2018 is a global first that explains what "diverse thinking" really means for governance, how to increase diverse thinking , the predictors of diverse thinking beyond gender and ethnicity, and how to create a diverse thinking Boardroom culture and governance practice. Who has got the CQ Tick? 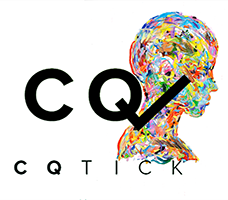 Undertake the CQ Tick Programme and receive the CQ Tick, which measures the existing level of cultural intelligence and capability of your staff and management so that gaps and strengths can be identified and addressed. You can then build on these to increase CQ. The Superdiversity Institute also provides training in cultural intelligence. Cultural intelligence is the capability to relate and work effectively across cultures. The World Economic Forum Report cited cultural literacy and awareness as two of 16 key skills needed to succeed in the Twenty-first Century.